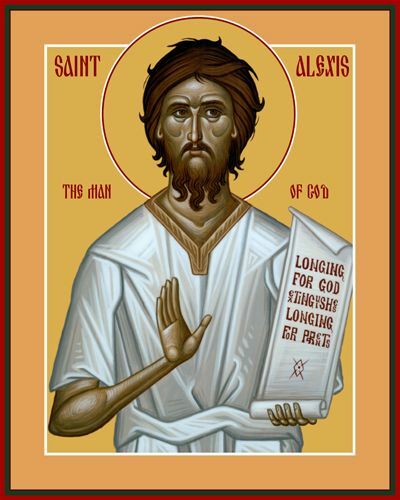 Today, July 17, we celebrate the feast day of Saint Alexis (also known as Saint Alexius, died 404), “Man of God.” Saint Alexis lived in poverty and service to the poor, despite wealthy upbringing and worldly opportunity. 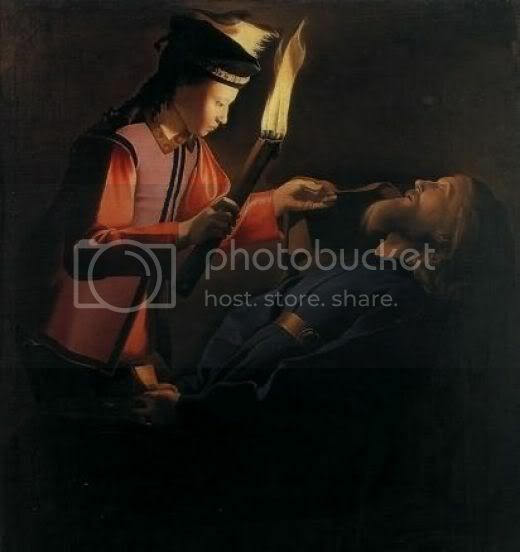 His faith and piety was attested to by the Blessed Virgin, who spoke through a holy painting, revealing him to be a “Man of God” to those who regarded him as a beggar. The life of Saint Alexis reminds us that appearances are not what is important to the Lord, but rather the holy fire burning within the heart and soul of the faithful. Alexis disguised himself, leaving his homeland, and sailing East. He arrived in the city of Edessa in Syria, where he sold his remaining belongings (distributing them to the poor) and took up residence beside the Church of the Most Holy Theotokos (Mary, Mother of God). There, he begged for alms, which in turn he bought bread with to feed the aged and infirm. On Sundays he spent the day in the church, receiving the Eucharist, and praying in earnest. His parents sought him everywhere, dispatching servants throughout Europe and the East, but none could find him. Those sent to Edessa could not recognize him without his fine clothing. Plus, he had aged considerably, his body shrunken from fasting, and his former youth and vigor erased by long days and nights of begging. Alexis was thankful, and raised a prayer of thanksgiving to the Lord, that his own servants had given him alms, saying "I thank Thee, O Lord, who hast called me and granted that I should receive for Thy name's sake an alms from my own slaves. Deign to fulfill in me the work Thou hast begun." Saint Alexis lived in Edessa for seventeen years, during which time Our Blessed Mother revealed his true holiness. One morning, in the church, an icon of the Theotokos spoke to the sacristan as he readied the altar for Mass. She said, “Lead into My church that Man of God, worthy of the Kingdom of Heaven. His prayer rises up to God like fragrant incense, and the Holy Spirit rests upon him.” The sacristan searched, but could not find any many that fit the description of the Holy Mother. Confused and frustrated, he prayed to Mary, begging clarity. Again, a voice from the icon spoke, proclaiming the beggar who sat in the church portico to be the Man of God. 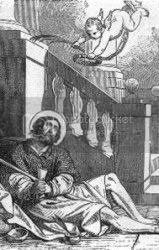 The sacristan, despite his misgivings, brought Saint Alexis into the church, and many began to recognize him and praise him thereafter. 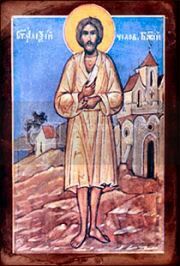 Having attracted unwanted attention, and wishing to return to his life of humility and poverty, Alexis left Edessa, boarding a ship for Cilcia, his intended destination the Church of Saint Paul in Tarsus. However, the plan of the Lord is mighty, and a storm forced the ship to dock in Italy. So close to the home of his parents, Alexis traveled by foot to Rome, and took up residence in his own home, beneath the stairs of the grand house he had grown up in. 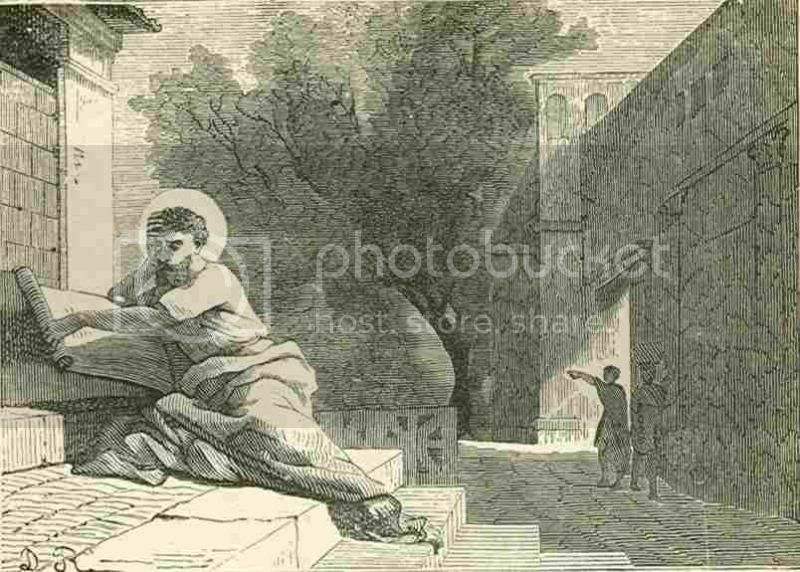 Euphemianus, not recognizing his own son, provided the beggar with a cell in which to live, and ordered that he be given daily rations from the dinner table. Alexis, for his part, lived in humility and prayer, fasting and contemplating the Word of God, enduring the constant jeering and insults at the hands of the servants. He also endured the constant weeping of his wife, whose pain tormented him each day. The only times he left his cell were to attend Mass and teach the local children about the Lord and the faith. Saint Alexis lived in his family home for seventeen more years, until his death, which the Lord revealed to him in advance. On the day of his death, he took pen and paper, writing a note of apology and begging for forgiveness for the earthly pain he had caused his wife and parents. That day, the day of his death, heavenly voices spoke at Masses offered throughout the city—one to Archbishop Innocent saying, “On Friday morning, the Man of God comes forth from the body. Have him pray for the city, that you may remain untroubled.” Those present were terrified, falling to the ground upon hearing the heavenly voice. 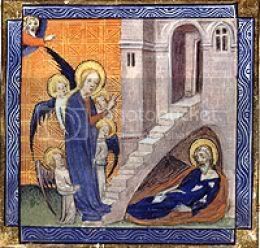 Upon recovering, they searched the city, but were unable to locate humble Alexis, living under the stairs in his father’s courtyard. 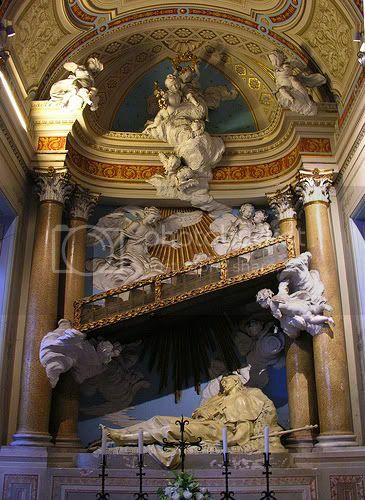 A second voice was heard by the Pope, while serving Mass in the Church of Saint Peter. The voice spoke, “Seek the Man of God in the house of Euphemianus.” Many traveled to the house, including the Pope and Emperor, but Alexis was found to be dead. His face was transformed into that of a angel, his youth and vigor restored and enhanced. In his hand, he clasped his final note, but it was unable to be pried free until the Pope and Emperor—addressing him as if he were alive—asked to read it. Upon hearing the request, the hand of Alexis opened, and the letter was read. 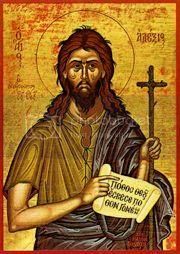 His wife and parents tearfully venerated his body, praising the Lord for returning their lost son and husband to them, and for giving him the strength of will to live a life of penance from the day of his marriage to the day of his death. Carried by the Pope and Emperor, the body of Saint Alexis was displayed for the citizens of Rome to venerate, and then interred in a marble crypt within the Church of Saint Boniface. 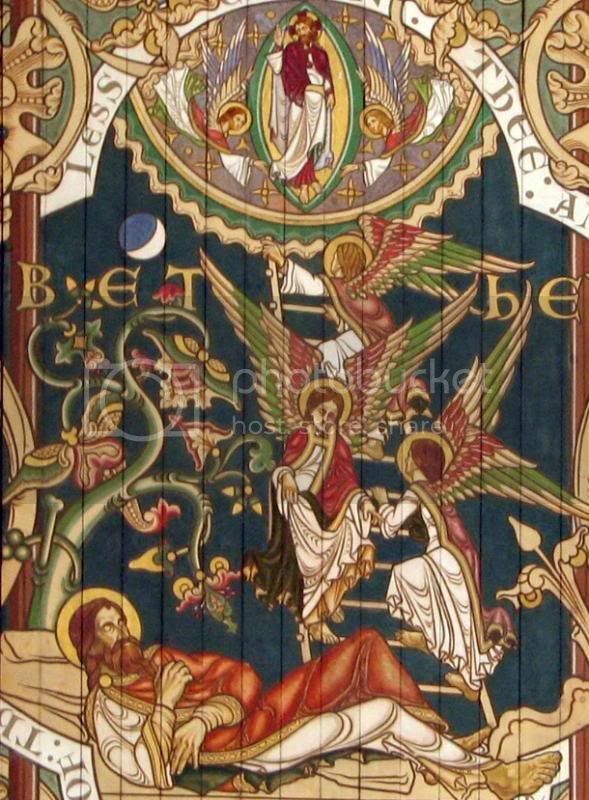 Many miracles were reported at his tomb side, and a sweet myrrh was noted to flow from the crypt, healing the sick. The life of Saint Alexis is one of humility and obedience. This Man of God is also remarkable for his daily struggle against the vice of pride. On many occasions—while enduring the jeers of his servants, while starving, while becoming invisible to society—Alexis could have asserted his position by stating his identity, embracing his pride and putting aside his penance and suffering. Rather, he asserted his love for the Lord, himself diminishing. We all struggle with pride, in this modern age. We are judged by others by our worldly accomplishments, wealth, status, position, successes—all of which foster a sense of individual responsibility for the course of our lives. We might look to Saint Alexis on this, his feast day, as a reminder that all we have—all we are graced with—is given to us by Our Heavenly Father. We do not achieve, rather we accept. And in that acceptance, we recognize our weakness. We recognize that we are undeserving. And we give thanks and praise to the Lord for allowing us to “succeed”—not for our personal glory, but for His. I believe you have the wrong icon for your article. That appears to be an icon of St. Alexis Toth. Alexis the Man of God wasn't a priest.